Volcanoes– openings or ruptures in a planet’s crust that allow hot magma, ash and gases to escape from below the surface– have held mankind’s fascination for thousands of years. From Mount Vesuvius’ destruction of Pompeii in 79 AD to Colombia’s Nevado del Ruiz, whose pyroclastic flow caused over 23,000 deaths in 1985, history is littered with tales of the fearsome power of volcanoes, and many cultures believed these eruptions were the work of the gods. Perhaps this supernatural element explains why so many of mankind’s more adventurous spirits have found themselves drawn to these awe-inspiring forces of nature in ever-increasing numbers. 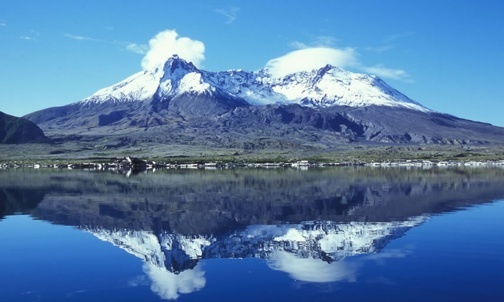 Summiting what is known as the Volcanic Seven Summits– the highest volcanoes on each of the seven continents– has become one of the premiere mountaineering challenges in the past ten years. But even weekend explorers have gotten in on the act, hiking and climbing the greatest volcanoes in the US in ever-increasing numbers. No figure in Hawaiian mythology looms larger than Pele, the volatile goddess of fire referred to in sacred chants as “She Who Shapes the Land.” It is believed that the temptress was banished from her homeland by her father after seducing the husband of her water-goddess sister, Na-maka-o-Kaha’i. Pursued by her angry sibling, Pele sailed in a canoe, creating new volcanic homes at each island she landed upon. 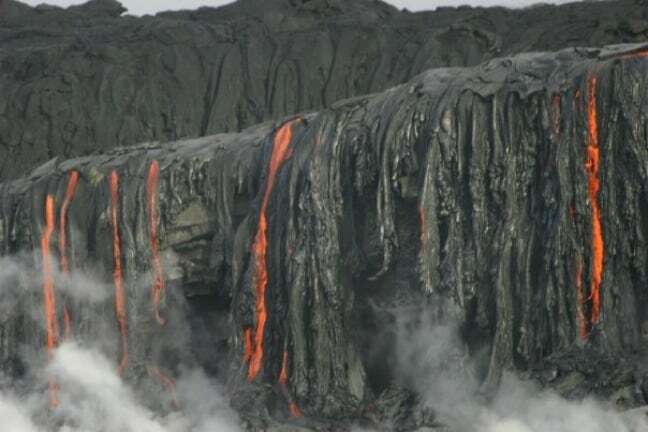 Eventually she landed on Hawaii’s Big Island, taking up residence in the fires of the Halema’uma’u Crater. A hike through the 330,000-acre park reveals an otherworldly landscape of calderas, pit craters, cinder cones, lava flows, tree molds, lava tubes, black sand beaches and thermal areas. The park is also home to numerous significant archeological sites, and a post-sunset viewing of the glowing Kilauea lava flow exploding as it reaches the Pacific is an unforgettable reminder of the battles between Pele and her sister. Located on the Alaska Peninsula just across from Kodiak Island, Katmai was originally designated as a national monument in 1918 to protect the area surrounding the 1912 eruption of Novarupta, which was the world’s second biggest volcanic eruption of the 20th century. 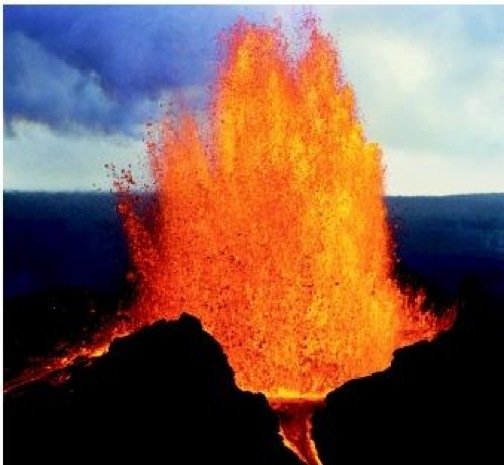 The eruption led to the formation of the Valley of Ten Thousand Smokes, an impressive 4-square mile lava flow that ran up to 700 feet deep, and also created a lake-filled caldera at the peak of Mount Katmai, the 6,716-foot volcano at the heart of the park. These days, Katmai National Park’s 14 active volcanoes (including Fourpeaked Volcano, which reawakened in 2006 after being dormant for over 10,000 years) are just one of the many features that attract tourists from all over the world to Katmai’s 7,383 square miles of protected wilderness. There are numerous archaeological sites dating back to the Paleoarctic era, not to mention hiking, backpacking, camping, ice climbing and backcountry skiing on and around Mount Katmai. 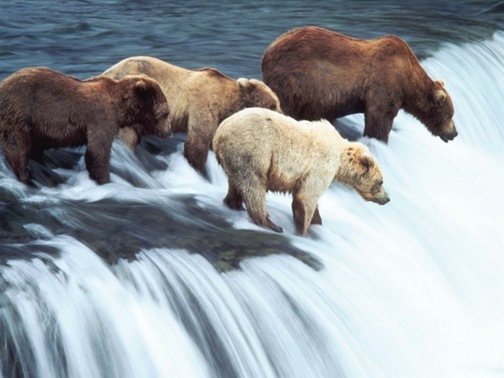 The park also features the world’s largest protected brown bear population (over 2,000), many of which congregate at the Brooks Falls viewing platform when the salmon are spawning, providing breathtaking photographic opportunities. Attracting over 600,000 visitors each year, Mount St. Helens remains the most popular volcano in the lower 48 states thanks to its catastrophic 1980 eruption, which remains the deadliest and most economically destructive volcanic event in United States history (57 people killed; 250 homes, 47 bridges, 15 miles of railways and 185 miles of highway were destroyed). Erupting as recently as July of 2008, the mountain’s prime location (96 miles from Seattle, 50 miles from Portland), spectacular scenery and relative ease of access make it a favorite among hikers. Run by the U.S. Forest Service since it was named a national monument by Ronald Reagan in 1982, visitors have been allowed to hike the area’s 110,000 acres since 1983, experiencing firsthand evidence of the eruption’s destruction and Mother Nature’s remarkably rapid recovery.